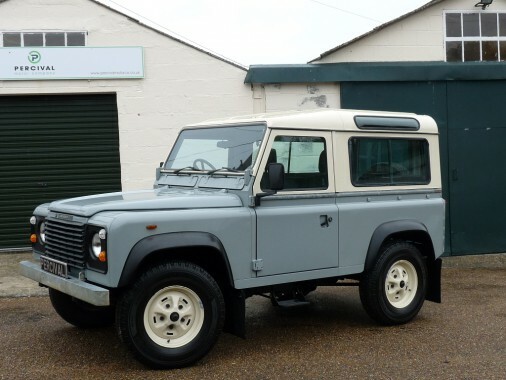 This is a very early Defender 90 Station Wagon with the 2.25 litre petrol engine carried over from the Series 111 but with a five speed gearbox and power steering. It has been repainted and a new Exmoor Trim interior fitted although the original seat covers and carpets come with the car. Being a Station Wagon it comes with tinted windows all round and a Alpine lights in the rear roof. A full internal roll cage protects the occupants and new seat belts are fitted throughout. Drving very nicely, the Defender is ideal for pottering or using for the winter station run.